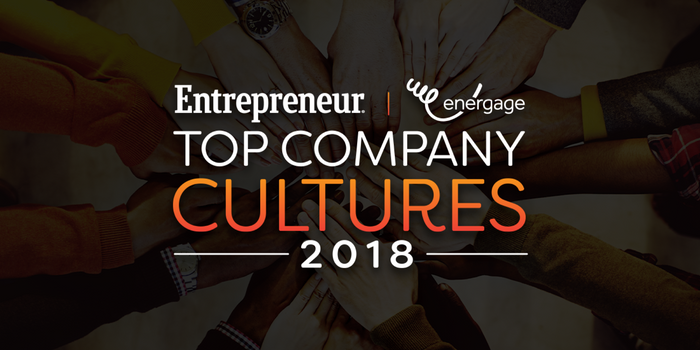 Bridgeworth, LLC is pleased to announce it was ranked on Entrepreneur’s Top Company Cultures list; a comprehensive ranking of U.S. based businesses exhibiting high-performance cultures. The list has placed Bridgeworth, LLC as a Top Company Culture in the small size category (74 or fewer employees). Bridgeworth is recognized for creating an exceptional culture that drives employee engagement, exceeds employee expectations and directly impacts company success. According to DeLynn Zell, managing partner, “When Bridgeworth was founded ten years ago, one of our guiding principles was to offer an ideal environment to take the best care of our clients, our community, and our people. A great company culture doesn’t happen by accident but by being deliberate and thoughtful in our communications and actions and by fostering a spirit of collaboration where everyone is heard and valued. The full list of 150 companies is available on Entrepreneur.com. Employees participated in online surveys, and the honorees were determined and ranked based solely on their survey feedback scores. Each company was measured in response to 24 questions on subject matters such as connection, alignment, effectiveness, leadership, and management, as well as basics such as pay, benefits, and flexibility. There is no cost to participate in the survey. Individual responses were anonymous. Bridgeworth, LLC is a Registered Investment Adviser and is not affiliated with Entrepreneur, Inc.